Liverpool must beat Napoli 1-0 or by at least a two-goal margin in their final Group C match to guarantee a place in the last 16 of the Champions League following Wednesday's 2-1 defeat by Paris Saint-Germain. The result at Parc des Princes - coupled with Napoli’s win over Red Star Belgrade - leaves the Reds third in the pool and three points behind Carlo Ancelotti’s leaders, who visit Anfield on the sixth and final matchday next month. Jürgen Klopp’s side must therefore either better the 1-0 win the Italian team claimed over them at Stadio San Paolo in October or win 1-0 themselves - which would see them top Napoli on goals scored - in order to be certain of qualification. 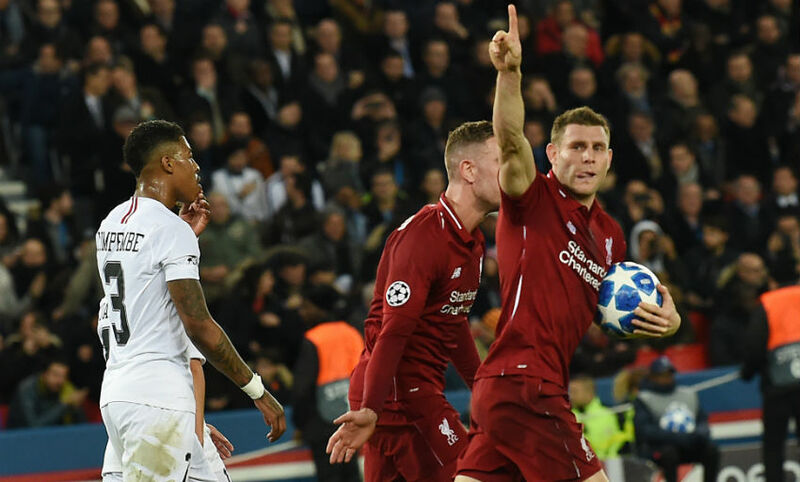 Goals by Juan Bernat and Neymar put PSG 2-0 up in a first half they controlled for large parts, but James Milner’s penalty in first-half stoppage-time earned Liverpool a route back into the game. 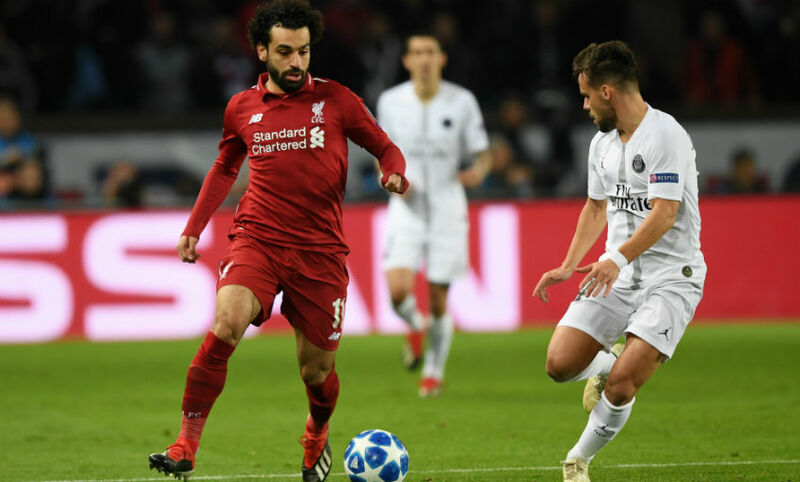 However, despite a much-improved display after the interval, the Reds were unable to force a leveller that would have kept them above the French champions ahead of December’s group-stage finale. Joe Gomez and Milner returned in place of Trent Alexander-Arnold and Xherdan Shaqiri as Klopp made two changes to his starting line-up. PSG enjoyed the better of a frenetic, breathless opening 10 minutes. Dejan Lovren diverted Kylian Mbappe’s attempt wide after the forward had run onto Angel Di Maria’s pass, before the Argentinian forced Alisson Becker into a flying save to tip his dipping, 20-yard half-volley around the post. The hosts’ early attacking intent would soon pay dividends, however. Virgil van Dijk could only half-clear Mbappe’s drilled cross from the left and Bernat was on hand to pick up the rebound and wrong-foot Alisson with a low shot into the near corner. Another wave of PSG pressure followed the opener but, having successfully absorbed that, Liverpool grew into the game. A textbook example of high-pressing by Sadio Mane and Mohamed Salah saw Presnel Kimpembe dispossessed, but the Egyptian could only curl Milner’s cutback wide after the vice-captain had joined the hunting pack. A fine move involving Salah and Milner on the half-hour mark ended with Kimpembe hacking Roberto Firmino’s header back across goal clear. That half-chance immediately preceded a warning of what was soon to follow from Thomas Tuchel’s team, though, as Mbappe raced down the left and found Edinson Cavani with his delivery, only for Alisson to intervene with bravery and brilliance to smother the ball at the Uruguayan’s feet. An almost-carbon copy of that scenario played out again six minutes later, but this time Neymar was there to convert the rebound after his fellow Brazilian had again denied Cavani from close range. 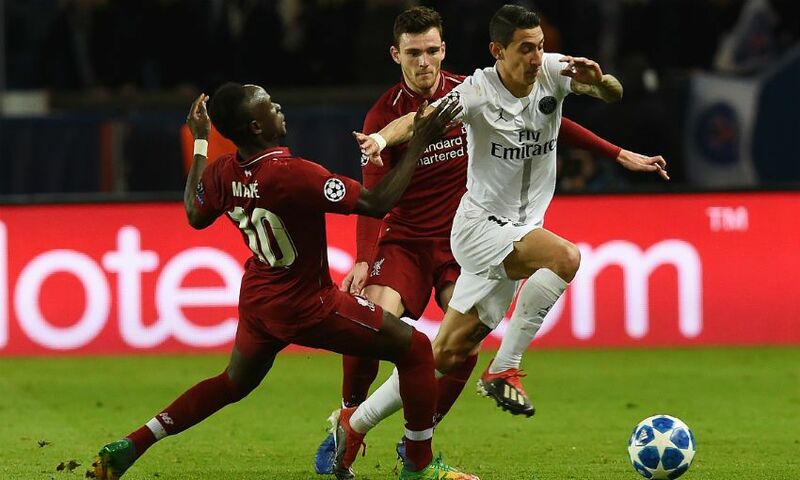 The Reds were able to regroup and halve the deficit before the break, when Mane’s surge of pace tempted Di Maria into a rash challenge just inside the area. Milner did the rest, coolly sending Gianluigi Buffon the wrong way from the spot to offer encouragement that all was not lost, despite a testing first 45 minutes. The offside flag ruled out Marquinhos’ sliding finish from Neymar’s cross three minutes after the restart, but it was Liverpool who spent most of the early stages of the second period on the front foot. Time and again the Reds worked their way into promising positions, only for their final ball to lack the necessary incision, with searching crosses by Milner and Andy Robertson being cleared in quick succession before Firmino glanced another ball from the left-back wide. A stunning reaction save by Alisson - who got down in a flash to claw away Marquinhos’ powerful header from Neymar’s corner - came as Klopp sought inspiration among his substitutes by introducing Naby Keita, Daniel Sturridge and Shaqiri. But there was to be no late equaliser, meaning Liverpool require a trademark Anfield European night in 13 days’ time to avoid elimination.